formerly in the Cambrian Models range. 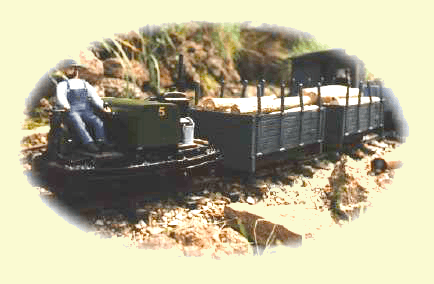 We are currently concentrating on 16mm Scale Narrow Gauge. However, items in the "ND" 3D printed range can also be supplied for 7/8" scale: the price is approx. 50% more than the standard price. We are now able to take telephone orders. See the How to order page. Please note: we do not accept cheques. For 16mm scale parts prefixed NS, NB, NS and NW, please visit the Cambrian Models (old site) website; or the online shop at Cambrian Model Rail. have moved to the Dean Goods site from the Cambrian Models site. Links are below "Other stuff" on the left.